The series debut features a 3-part session with Rush guitarist Alex Lifeson. 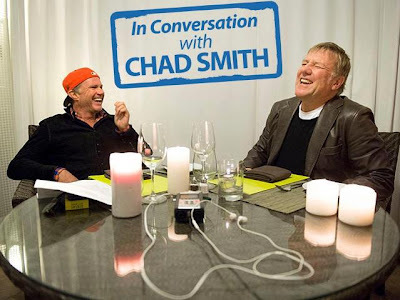 Smith sat down with Lifeson in Los Angeles a few days before Rush were inducted into the Rock And Roll Hall Of Fame last month. "I've been a Rush fan since high school," says Smith. "Neil [Peart] gets a lot of attention, as he should, but Al is underappreciated, I think. He is as great a musician as he is to be around. I'm honored for him to be my first. He was gentle with me!" Hear the first 2 parts in the Alex Lifeson series here. Rush are playing shows in the UK this week as part of their “Clockwork Angels” tour.